One of the strangest things you will see in the markets and the greengrocers in the Canary Islands (especially in Tenerife) is this fruit. You might not recognise it at first however after a roam around the Islands you will definitely see some in the wild. This is the ‘tuna’ or ‘higo chumbo’ or ‘prickly pear’. Yes, the fruit of the cactus is edible! The people here on the Islands claim that they are the only ones who eat it (it is certainly not favoured in mainland Spain) however after some digging on the Internet I’ve discovered that it’s not the case. It is known in some parts of Europe, the Middle East, Morocco and in South America and used for a variety of purposes, from medicine to dye production, even as an intoxicant in some parts of the world. 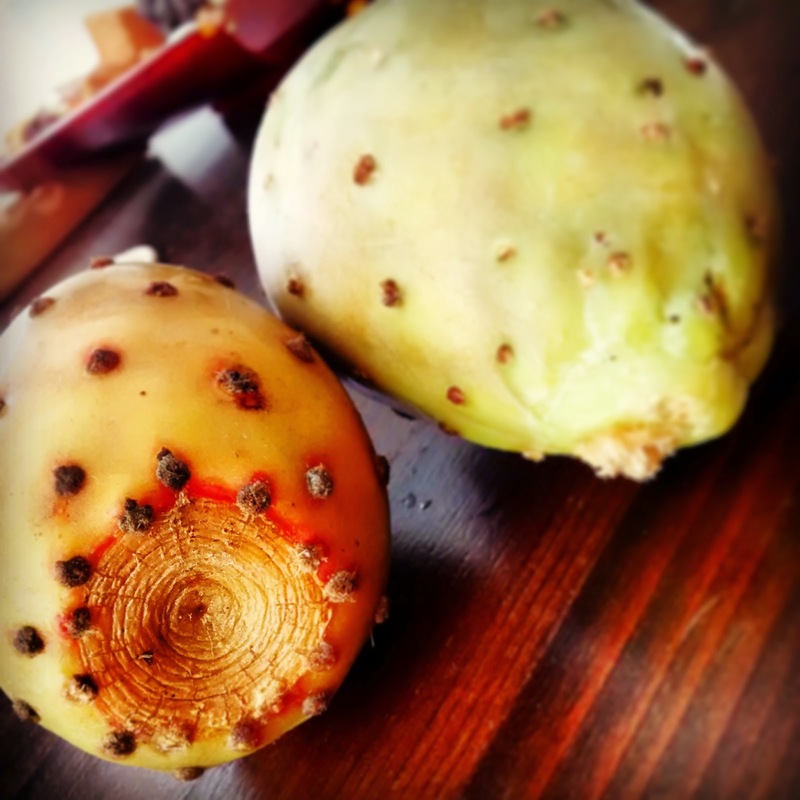 Even though I had seen prickly pears everywhere I only tried them when I went to a fruteria close to our place in Tenerife. The shop owner seemed very nice and I asked him about this strange fruit. He offered me one and showed me how to open it. He told me that there are two types, white ones and red ones. With both types however you have to be very careful when peeling as the outer layer can cause great discomfort. This is the way you should peel a prickly fruit. Upon tasting it I was surprised to find that it was sweet! It was, like my new friend said, ‘buenissimo’. I liked it so much that I took some home for Paul to try. There are some pips inside it which Paul did not want to eat but I didn’t have any problems with, although I eat watermelon seeds, too. When you come to the Canary Islands, don’t forget to try this strange but yummy fruit!